The Clock Cam is a cleverly disguised, cutting edge security camera for your home or office. 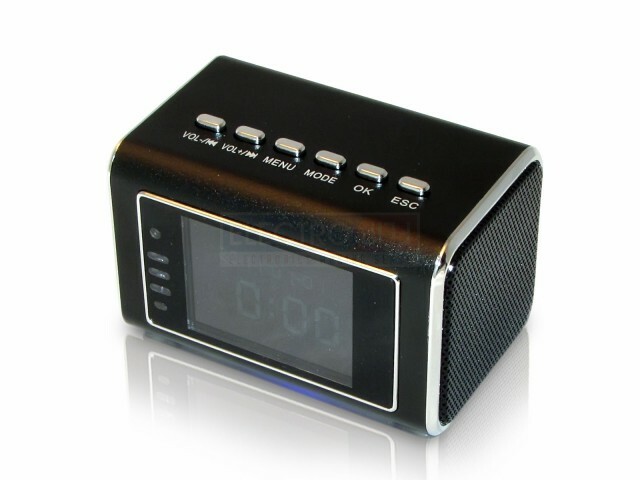 With the sharp modern appearance and full functionality of a music player and nightstand clock, nobody will suspect that it also takes crisp, covert video on the sly, day or night. 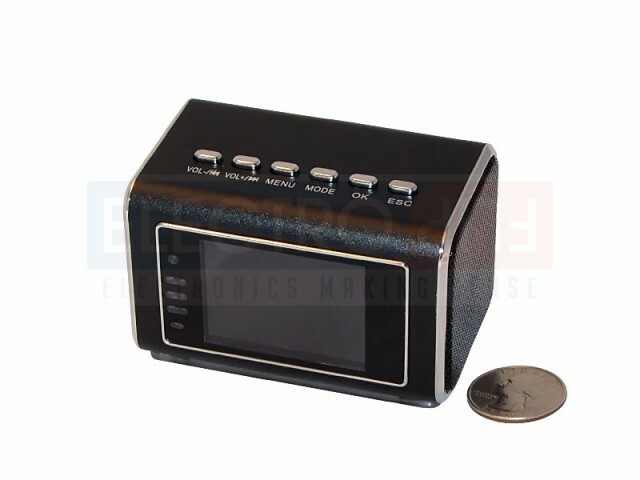 The Clock Cam disguises a pinhole camera as a contemporary nightstand clock and music player, nestling neatly into any modern décor. 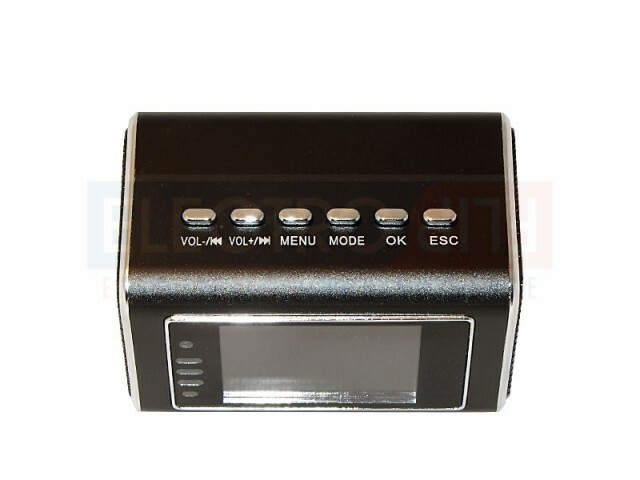 Only the owner can set the secret camera to record by using a special combination of buttons. The same goes for accessing recorded pictures and videos, which can be viewed on the large full HD LCD screen on the face of the device. Professional grade night vision, cycle recording, and plug and play USB compatibility also make the Clock Cam’s compact camera easy to use. Quality Surround Boom speakers and a large digital clock display keep the Clock Cam incognito no matter where you need it. Discrete Pinhole Camera: The high-tech pinhole camera records video at 30 frames-per-second and at high quality 640x464 resolution. Video can also be compressed down to 320x240 to save space. In high compression mode, you can store up to 30 days of nonstop video. Motion Detection: Prefer a more hands free approach, set it for motion detection and record only what necessary. 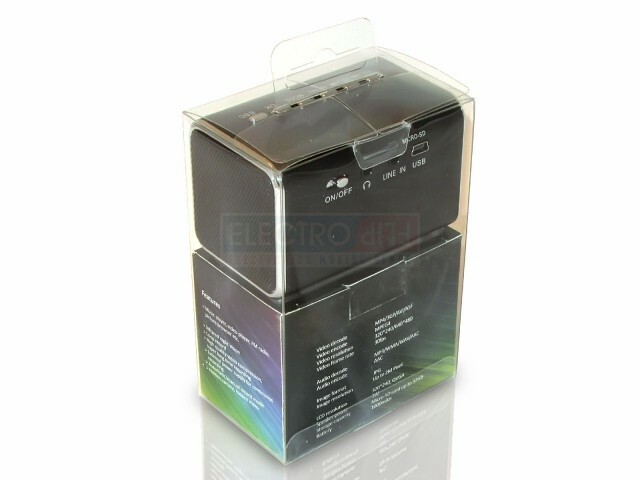 Built-In Microphone: Get quality stereo audio to accompany your videos. 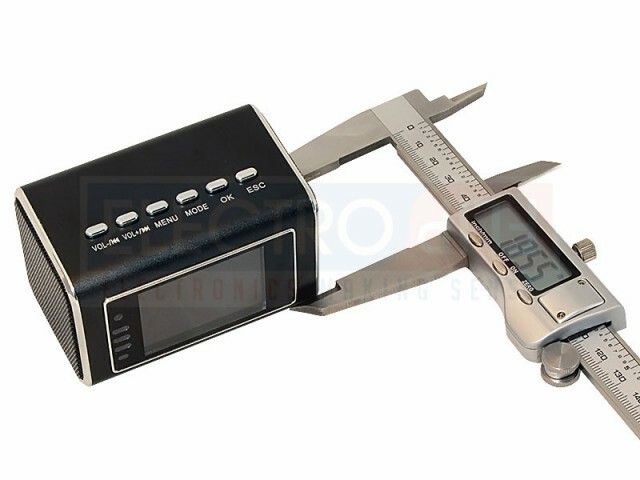 Invisible Night Vision: The Clock Cam records great footage at night, using pure invisible infared and a professional grade Night Vision lens and chipset. 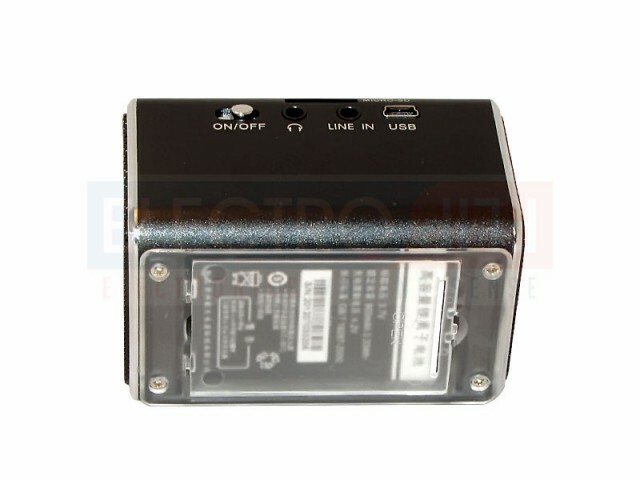 It delivers well-lit footage from pitch-black rooms without adding any light to its surroundings. 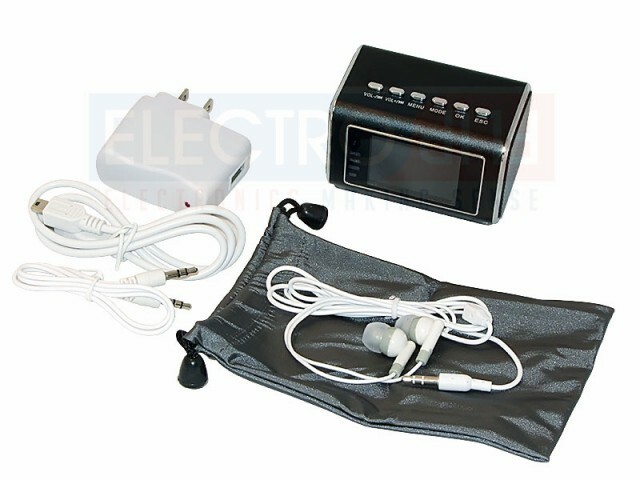 Rechargeable Battery: The Clock Cam is designed to use a power outlet like most nightstand clocks and music players, but also comes equipped with a backup lithium polymer battery that can record for 4 full hours for portability. Modern Design: The Clock Cam has an award winning design that features an anodized aluminum exterior. It’s small enough to fit in the palm of your hand at only 3.2 x 1.8 x 1.8 inches, but still delivers powerful sound and records high quality audio and video. 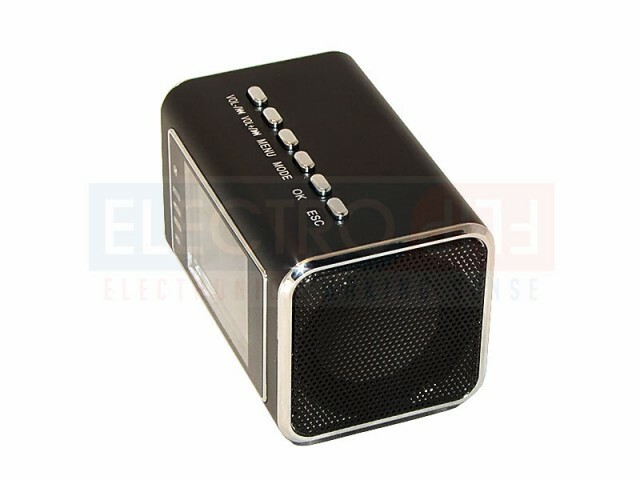 It’s ideal for the bedroom, kitchen, office, boardroom, nursery, or any contemporary environment. Private Access: Only the owner can start, stop, or play back recordings by using a special combination of buttons found in the owner’s manual. Great Sound: 3-watt stereo speakers use Surround Boom technology to resonate amazing audio from a compact body. 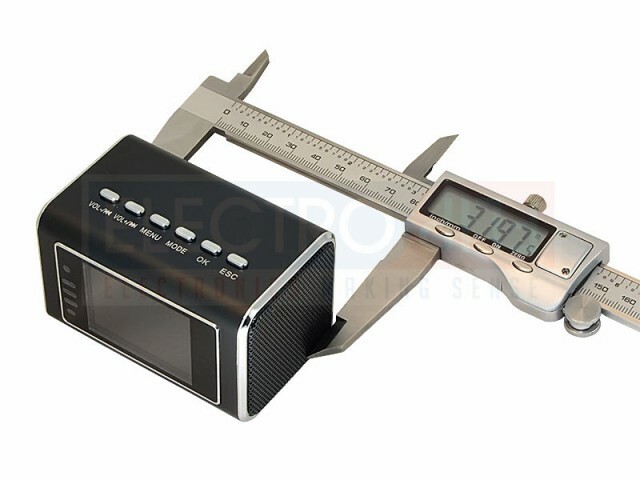 The built-in music player is compatible with MP3, WAV, WMA, and ACC, covering just about every common audio format, and it even has an AM/FM radio. 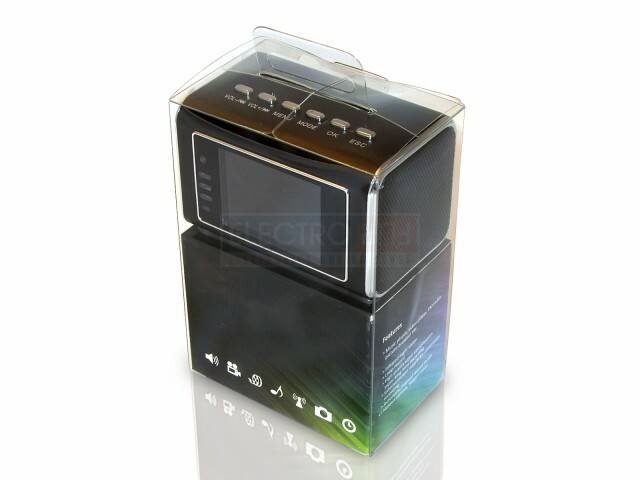 HD LCD Screen: The face of the Clock Cam is a flush mount 2-inch full HD screen that can be used as a radio, navigate music, movies, and more. 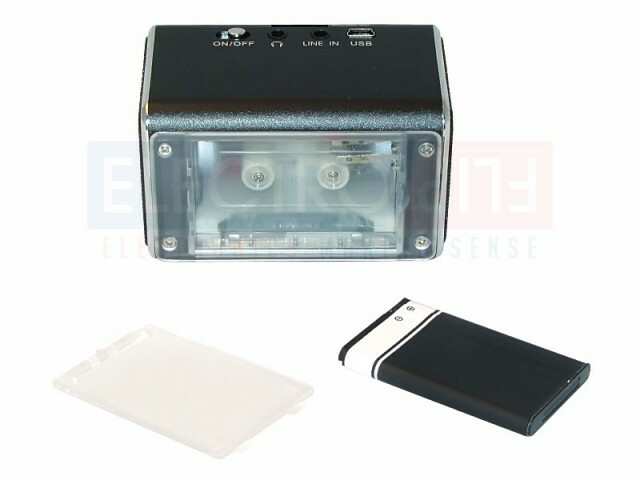 With the secret access code, it can also be used to play back video and set to record. Cycle Recording: If you let your MicroSD card fill up, the Clock Cam’s cycle recording feature will begin overwriting the oldest footage with the newest. Compatible with Multiple Systems: Your footage is saved on MicroSD cards which can be inserted directly into most laptops. 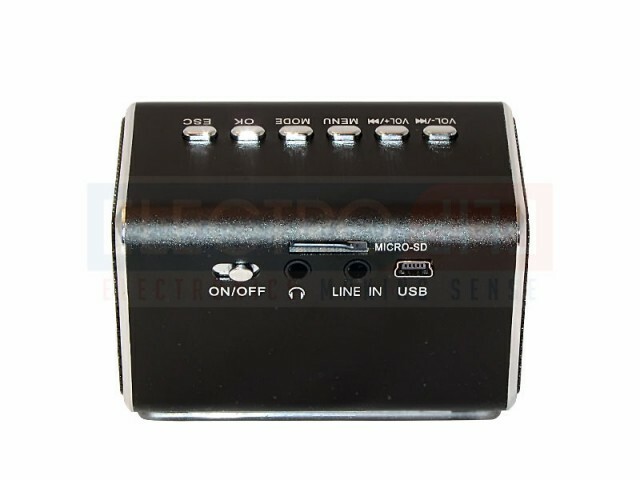 You can also use a simple USB memory card reader or USB port to hook it up directly to your computer. This ensure you can easily access your footage whether you’re on Mac, PC, tablet, or any other system with a USB port or MicroSD slot.